In the last lesson, Lesson 46, we concluded our discussions on Vedic accents. 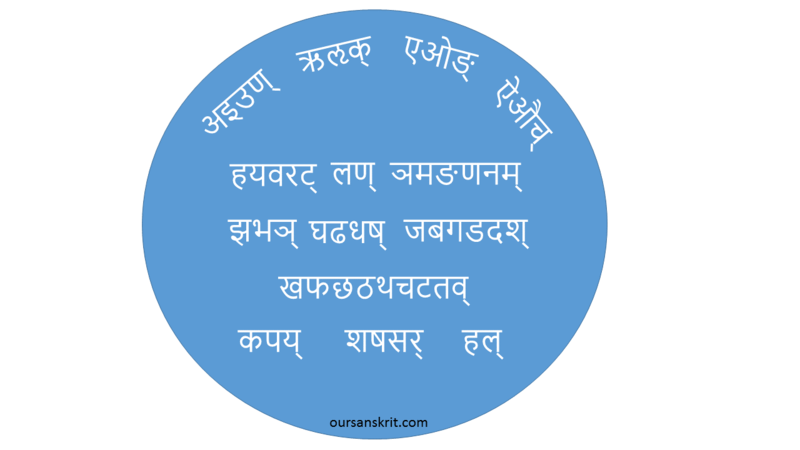 In this lesson we will look at some of the key features of Vedic Sanskrit, especially at tense systems and the subjunctive. There are many features of Vedic Sanskrit that have been lost in Classical Sanskrit. Vedic Sanskrit was a more vibrant and active language as compared to Classical Sanskrit. Over the previous lessons, we looked at tenses and modes. We elaborated on the present indicative, the imperfect, the optative, the imperative and the participles. We also looked at the perfect, the future and the aorists. And we looked at various secondary conjugations including the passive. Grammarians classify these various forms into what are called tense systems. There are four such systems. The present system, the perfect system, the future system and the aorist system. These systems are fully available only in Vedic Sanskrit. In Classical Sanskrit some of these have become obsolete. The present system: Comprises the present tense, its modes (the optative, the imperative and the subjunctive), its participle and its preterit which we called the imperfect. The perfect system: Consists of the perfect tense, its modes (as above), its participle and its preterit, called the pluperfect. The aorist system: The many types of aorists we studied, (the root, the “a”, the “sa”, the “s”, the “iṣ”, the “siṣ” and the reduplicated types), its various modes (including the optative which is called the precative) and participles. The future systems: The simple future and its preterit (called the conditional), its participle and the periphrastic future. Then there are the various secondary conjugations and some tertiary conjugations. We have thoroughly covered this. We looked at the present tense, the imperfect, the optative and the imperative. We will now look at the subjunctive. The mode sign of the subjunctive is an “a” added to the present tense stem. In thematic verbs this “a” combines with the the thematic tense sign “a” to form ā. The accent always rests on the tense stem. So, the tense stem has the strong forms on all persons and numbers (active and middle). This tense stem is then inflected like a thematic verb would be in the indicative, with a constant accent. The subjunctive endings (with the mode-sign “a” combined) are given below. We looked at the optative and imperative before in lesson 10. The main difference between the imperative, the subjunctive and the optative is this: Theoretically, the first one expresses a command, the second, a requisition or a will and the third, a wish. There is really no sharp distinction between the three. A general rule (or a general guideline) could be that the imperative has the command meaning when used with the second person and the optative has the “wish” meaning with the first person. By extension, I feel that the subjunctive has the “will” meaning with the third person. But, in many cases they are more or less exchangeable with each other. In fact in the Vedas they are combined in coordinate clauses. The perfect system consists of the perfect indicative, its modes, its participle and an augment perterit, the pluperfect. In lessons 28, 29 and 30, we looked at the indicative and the participle perfect system. We need to add that in the three persons of the singular active, the root syllable is accented. [These also normally show a stronger form than the rest. ] The endings are accented in the rest. It is difficult sometimes to distinguish between the modes of the perfect and the modes of the other reduplicating tense-stems – class 3 present stem, the reduplicated aorist and the intensive. But there are certain forms that are without doubt modes of the perfect system. The normal method of forming the modes is this: form the reduplicated perfect stem, and then add the mode sign and then the endings. Example: ájagantana अज॑गन्तन, ájagan अज॑गन् etc. There are seven types of aorists (as we saw before in lesson 34) The aorist system consists, for each of these aorists, of an indicative, which is an augment-preterit to which there is no corresponding present, participles, modes and augment-less indicatives used as subjunctives. As we said before, the aorists normally accent the augment. Aorists are very commonly used in Vedic Sanskrit. Let us now look at the modes of the aorists. An augmentless form of the indicative is used as a subjunctive, in addition to the normal subjunctive. These augmentless forms of the reduplicative aorist are generally accented on the reduplication (some exceptions are met with). Of other aorists, the accents can be either on the root or the ending. (In many cases it is not clear where the accent is, since in the Vedas, the principal verb is not accented, and, if this form appears only as a principal verb, it is never accented). In lesson 27, we looked at the simple future, the periphrastic future and the conditional (which is the augment preterit of the simple future) and the participle. This with the few examples of the modes of the simple future make up the present system. Modes are very rare with the futures. This is the end of lesson 47. In this lesson we looked at some of the features of Vedic Sanskrit, especially at tense systems and the subjunctive.